This prayer is the mission statement and title of the latest project from the family group, the Sharps. 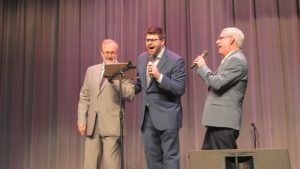 Hailing from Fort Payne, Ala., these men of faith are dedicated to spreading the gospel through song. 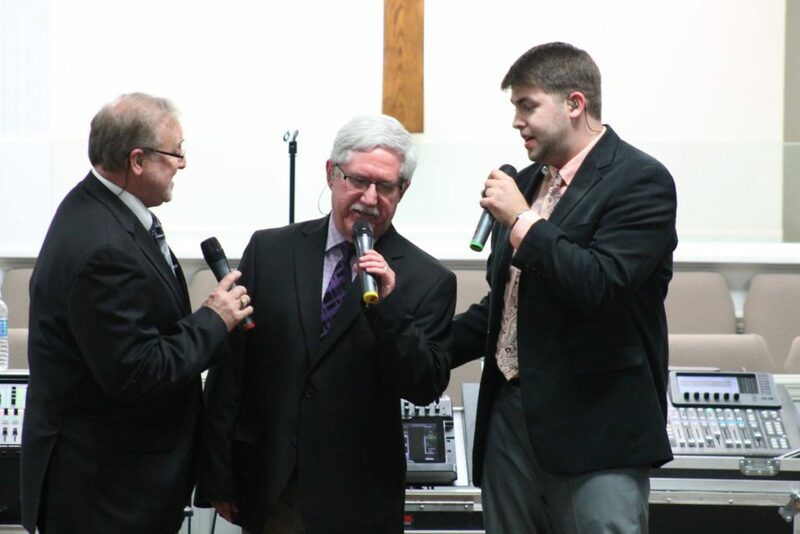 Andy Sharp and his son, Ben, lead the group as co-owners, carrying on the the legacy of Joel Sharp, the founder of the quartet. “The Sharps is a family-based group that started in 1984 by Joel Sharp,” Ben shares. “Joel, having sung with gospel groups as early as the 50s, formed the Sharps that consisted of him, Andy and Janice Sharp, and Karen Sharp Twilley and her husband LaDon. The current lineup features the lead vocals of Mike Leath, the soaring tenor of Andy Sharp (son of Joel), and rounding out the trio, Ben Sharp’s smooth baritone. For the past three years, Tony Lewis served as the bass vocalist, but he recently resigned. Andy Sharp is the only original member still with the group. Leath was hand-picked by Joel Sharp to fill in for him during his illness. He has now been with the quartet for 11 years. Ben Sharp grew up traveling with the group and has played piano, drums and served many other roles as well. The group has experienced great success over their 30-plus years. 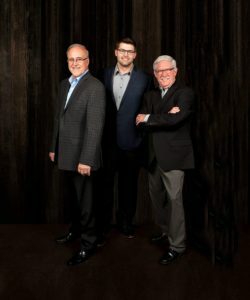 They have recorded more than 20 projects, have been honored with several awards, and several (of their) songs have charted on national gospel music charts. Andy Sharp has been honored with a lifetime achievement award in 2016 for his 30 years in Southern gospel music. 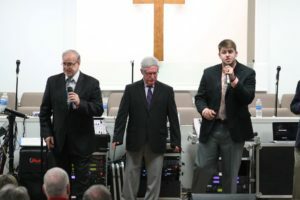 The group’s unique sound was inspired by the Florida Boys of 1962, Glen Payne, Brian Free, Arthur Rice, and of course, Joel Sharp.